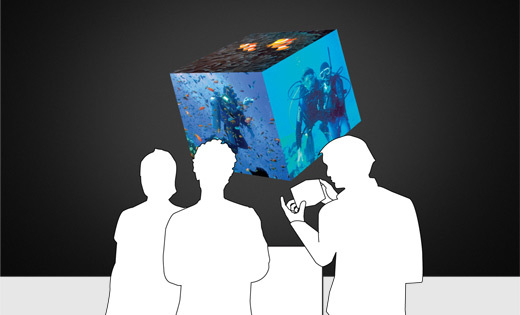 There are two editions of CubeBrowser: The first one uses a plain cube with the motion tracker inside to control a 3D cube on a projection screen, while the second one has screens on all faces. CubeBrowser @ ArtFair 09 / Cologne from Ludwig Zeller on Vimeo. 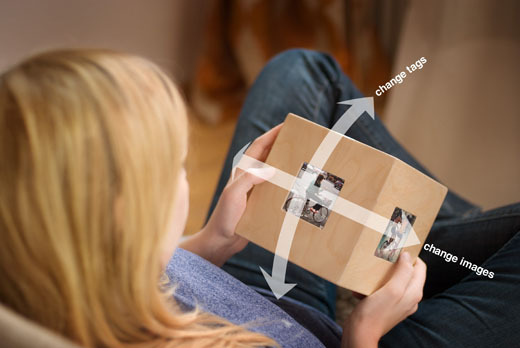 An experimental and novel concept like navigation by turning can be completely different on the paper than in the hand. Ideas are best evaluated in fast prototyping cycles. 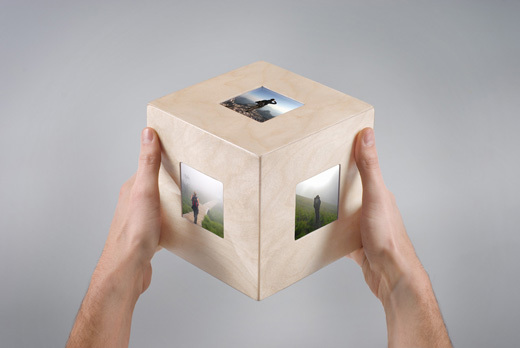 It is comparable to the browsing concept that was developed for the CubeBrowser: with each prototype iteration, you see more and can decide in which direction the project will develop. 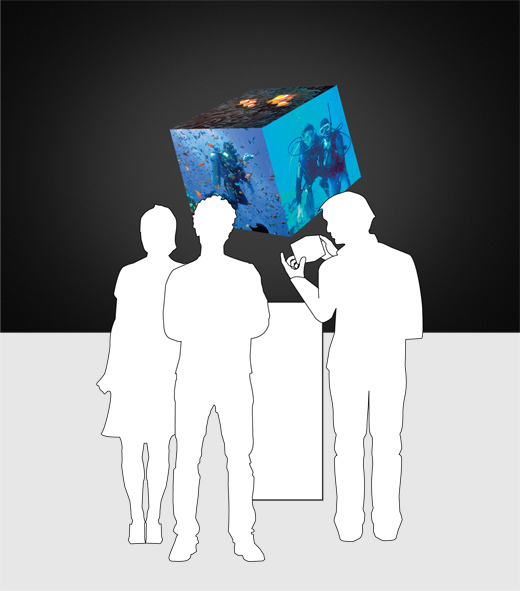 This object uses six screens to show the images directly in the owner's hands, being more private and direct in its sensation. The fact that you are looking into your hands creates a physical concentration of thought and action.